Launey J. Dovin, 71 of Amherst, passed away Saturday, October 12, 2013 at New Life Hospice Residential Center, Lorain, following a lengthy illness. Born January 2, 1942 in Lorain, he moved to Amherst in 2003. Launey graduated from Borromeo High School, Wickliffe in 1959 then from Pittsburgh Institute of Mortuary Science in 1962. In 1966 he received a Bachelor’s of Arts degree from John Carroll University. Launey was a member of the former St. Stanislaus Catholic where he was active in the Holy Name Society and organized and directed the Holy Name Men’s Choir. He served on the board of the Holy Name Society of the Lorain County District. In 1965, he changed rite and became a member of St. Nicholas Byzantine Catholic Church, continuing his involvement with the Holy Name Society there. He was a founding member of the Callistian Guild, an organization dedicated to the fundamental principle that the poorest of God's children are entitled to be buried with dignity. In 1976, Launey became the first Certified Eye Enucleator Technician in Lorain, Huron and Erie Counties, having performed hundreds of procedures and developed the program for courier volunteers. He was on the board of directors of El Centro de Servicios Sociales in Lorain from 1997 to 2004, holding offices of president and vice president. Owner and operator of the Dovin Funeral Home, Lorain, Launey was a licensed funeral director and embalmer for 50 years. 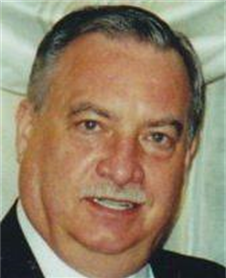 He was a member of the Greater Lorain Funeral Directors Association, and served as secretary for 27 years. He was a member of the Ohio Embalmers Association holding all offices culminating in a two-term presidency in 1986 and 1987. As a member of the Embalmers Association of Cleveland and the Cuyahoga County Funeral Directors Association, Launey introduced many innovations and progressive practices to funeral service through the presentation and dissemination of papers during local and statewide conventions. He was a member of the Ohio Funeral Directors Association having served as president of Ohio District 17, and the National Funeral Directors Association. He was a member of many fraternal, nationality and social organizations. He enjoyed traveling, collecting stamps, icons and manuscripts and reading newspapers. He also loved learning and speaking different languages. Launey took great pleasure in shopping at ethnic grocery stores and had an expansive and distinguished palette for international foods. He is survived by his loving wife of 48 years, Susan (nee Vanischak); his son, John E. of Lorain; his daughter, Marie (Bill) Stumphauzer of Brighton, MI; his grandchildren, Olivia and Erica Dovin, and Evelyn and Nicholas Stumphauzer; and his brother, Wayne Dovin of Fort. Myers, FL. He was preceded in death by his father, John R. Dovin in 1993, and mother, Wanda A. (nee Kowalski) Dovin in 2004. John graduated from the Cincinnati College of Mortuary Science in 1988 with both Bachelor and Associate degrees, after having completed the requirements for an A.A. degree from Lorain County Community College in 1986. He is proud to be a graduate of the Lorain Catholic High School, having worn the cap and gown in the 1984 ceremonies. John is pleased to be a member of the St. Nicholas Byzantine Catholic Church. He is an active member in the Kipton Sportsmen’s Club, and Vermilion Boat Club. 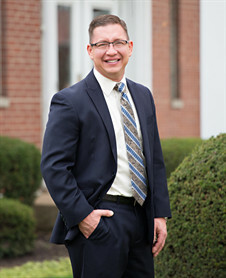 His professional affiliations include the National Funeral Directors Association, and on the state level, the Ohio Embalmers Association, as well as the Ohio Funeral Directors Association. On a more local level, John belongs to the Cleveland Embalmers Association, the Cuyahoga County Funeral Directors Association, and the Greater Lorain Funeral Directors Association. He enjoys fishing, boating, and hunting; and of course, spending time with his family. Ron is happily married. He and his wife Sharon have raised their two daughters, and now enjoy the company of a granddaughter. 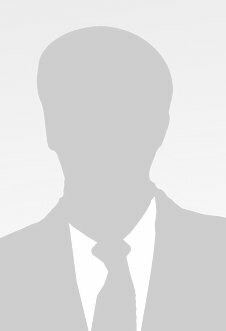 His favorite activities include watching the Cleveland Indians, Browns, Cavaliers, and local sports teams. Ron also serves as Vice-President of the Lorain Kiwanis Club, and is a Life member of the Kent State Alumni Association. He is an active member of the Lorain St. Mary Church, where he serves as a Eucharistic minister for the Church. Part of his duties as such takes him to the Anchor Lodge Nursing Home, where he provides communion services to residents.